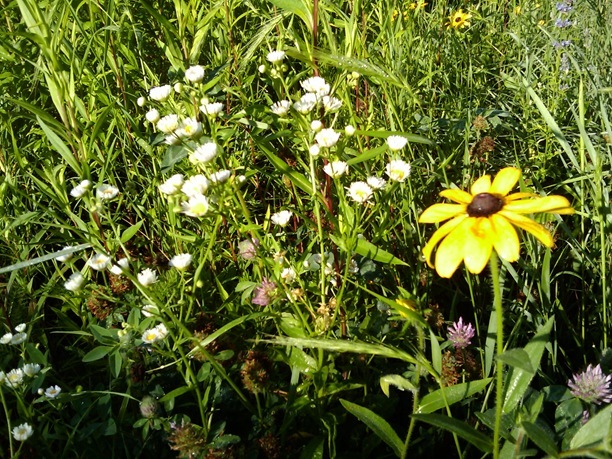 The Carleton Arb is currently featuring visual and gustatory delights in the form of blackberries and wildflowers. And if you time it right, there are pretty women there to help you pick the berries. Nice. Griff- I just had a chance to take a close look at those berries you are holding. Those are actually black raspberries, not blackberries. When you pick a blackberry, the stem always comes off the vine with the berry. When you pick a raspberry, the stem always stays on the vine. Both make excellent pies, though! 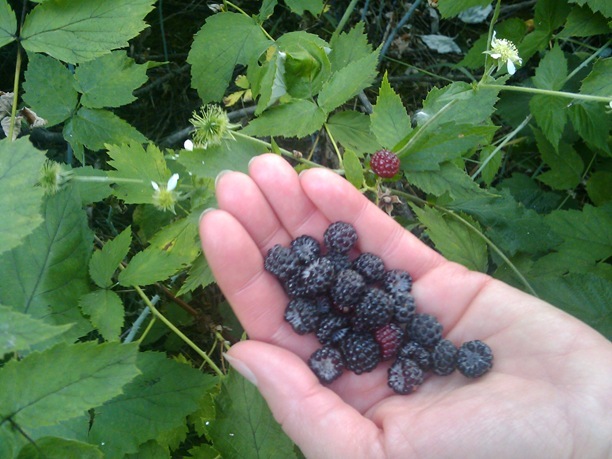 You might take a look at the blackberries on special this week at Econo. You will be able to see how the stem is intact in the berry.